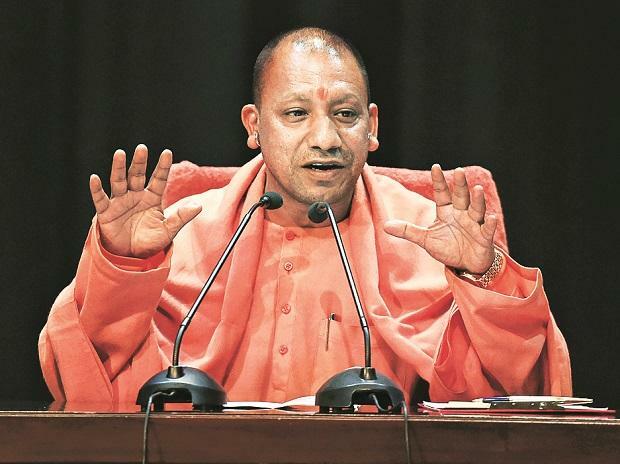 Uttar Pradesh Chief Minister Yogi Adityanath on Friday inaugurated and laid the foundation stone of infrastructure projects worth a little over Rs 1,400 crore in Noida and Greater Noida. During the visit to Gautam Buddh Nagar, he also inaugurated the Noida-Greater Noida metro rail project. He inaugurated projects worth Rs 283.75 crore, which includes two bridges that will ease connectivity between Noida and Delhi. A second bridge on the Yamuna river near Kalindi Kunj. The six-lane bridge would ease traffic on the existing four-lane bridge on the Okhla barrage, thus ensuring better connectivity from Noida to Delhi, Faridabad and Gurgaon. The 617.8-metre-long bridge, whose work had started in August 2014, has come up at a cost of Rs 119.95 crore. The chief minister also launched a Shilp Haat and Bunkar Bhawan in Sector 33 of Noida. The facility, built to encourage weavers and craftsmen, is spread in an area of 10 acre and costs Rs 72.57 crore. It is equipped with scores of stalls, a museum, an amphitheatre, among other facilities. Work on it had started in November 2015. A traffic park in Sector 108, which is spread over an area of 29,000 sq metres and built at a cost of Rs 33.87 crore. The park has been planned to provide road traffic-related information and awareness to drivers, and youngsters. It will also house the driving licence office as well as the regional transport office. The project had kicked off in May 2015. Another bridge on the Shahdara drain that will ease connectivity from Noida to Delhi, Faridabad and Gurgaon was inaugurated by the chief minister. The four-lane, 118 metre-long bridge on the Master Plan-3 road has been constructed at a cost of Rs 20 crore and has been in the making since September 2012. He also inaugurated the state-of-the-art Command Control Centre, which is spread in 7,550 sq metres and costs Rs 22.35 crore. The CCC, located in Sector 94, is a four-storey building which will be house emergency services such as the Dial 100 and disaster control. It will also be the new office of the Traffic Police, Smart City project, and the highway traffic management system, Work on the CCC had begun in October 2014. Adityanath also inaugurated a new Mother and Children Centre at Sector 62 for providing care to destitute women and children. Built at a cost of Rs 14.75 crore, this facility has provision to accommodate 216 women and 160 children. The project had started in July 2016. During the visit, he also laid the foundation stones of three major infrastructure projects altogether costing Rs 1,165.28 crore. This includes an elevated road from Chilla Regulator in Sector 14A to the Master Plan- 3 road parallel to the Shahdara Drain for Rs 650 crore, another elevated corridor from Agahpur petrol pump on the DSC road that will go up to the Special Economic Zone, costing Rs 460 crore. He also laid the foundation stone for a Rs 55-crore underpass to come up at the intersection of Sector 51, 52 and 71, 72.